This coming Sunday is the annual Franklin Village street fair. Extending north and south along Franklin Ave. between Foothill Dr and Hollywood Blvd. in Hollywood, Franklin Village is the one of the recognized neighborhoods in Los Angeles. Franklin Village is a community encompassing the history of Hollywood which can be seen in the early 1920's Hollywood apartment buildings and craftsman homes that line it's streets. While the neighborhood enjoys live music outside in the streets and booths selling crafts and serving up food like Oaks Gourmet Market doing their famous tri-tip sandwiches and street corn again this year inside at Franklin & Tavern you can pop in for some of Los Angeles ' finest craft breweries, Smog City and Eagle Rock. 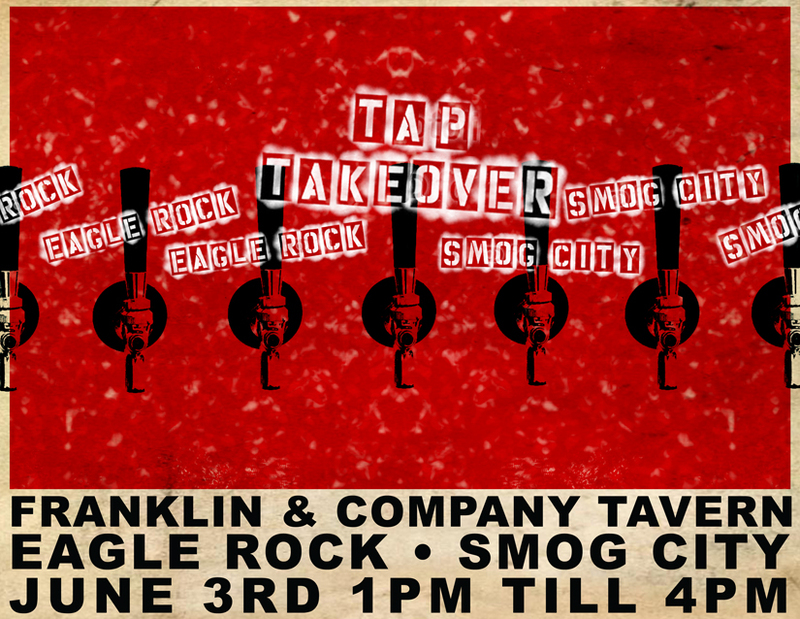 Franklin Tavern is hosting a Tap Takeover during the festivities. Head on in and meet the mind's behind some of the first great craft breweries in Los Angeles! 100% Semi-cabonic fermentation. Fragrant, light and delicate. Martian Ranch “Down to Earth” Grenache Rosé. and a lovely fresh nose of berry fruits. 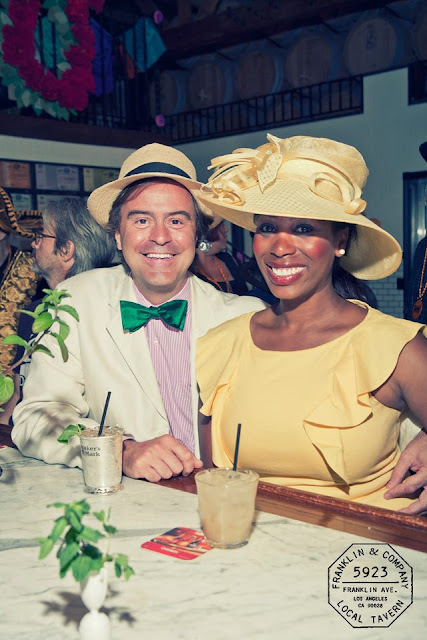 The Annual Run for the Carnations is happening Saturday, June 9th and Franklin & Company Tavern will start live coverage at 11AM. This race promises to be exciting. All eyes are on I'll Have Another attempting to become the 12th horse to sweep the Triple Crown when he competes in the Grade 1, $1 million Belmont Stakes. Since 1919, when Sir Barton became the first to win the Kentucky Derby, Preakness, and Belmont, only 11 horses have managed to sweep all three races, most recently in 1978 when Affirmed beat arch rival Alydar by a head in the “Test of the Champion.” but the smart bet might be to watch Union Rags and Alpha who sat out the Preakness and are hitting the track fresh. 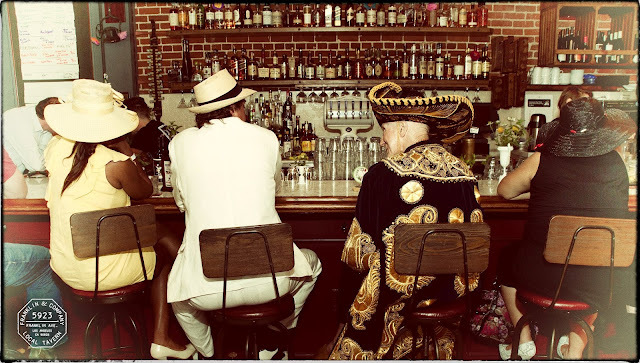 I'll Have Another might not be able to handle that last drink. But you should come on down and have a Belmont Breeze. 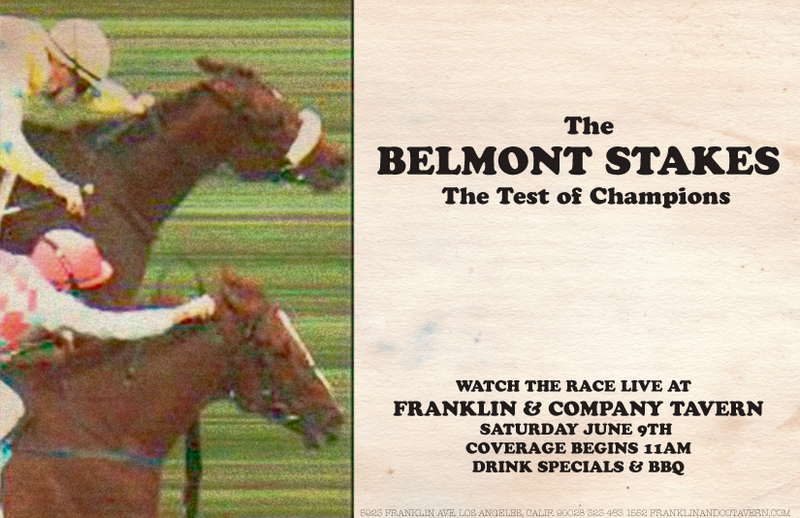 The official drink of the Belmont Stakes. Created by New York's premiere beverage authority Dale DeGroff, the profile of the Belmont Breeze comes from the colonial recipe: one of sour, two of sweet, three of strong and four of weak. Chef Jared Combs will also be cooking up some of his great Saturday BBQ! 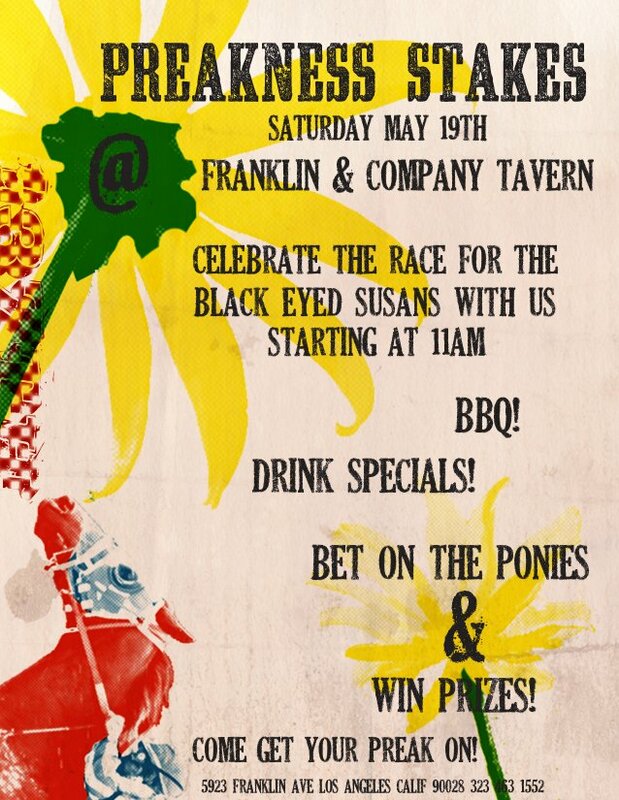 The 137th Run for the Black Eyed Susans is tomorrow and Franklin Tavern is the place to watch! The second leg of the triple crown series is the 9.5 furlongs at Pimlico race track! 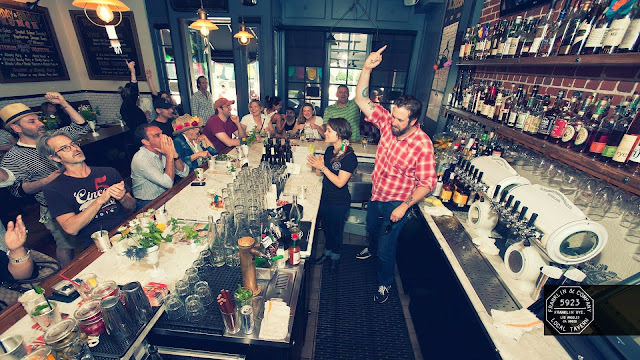 Franklin Tavern will be serving up a a cocktail called the Pimlico. 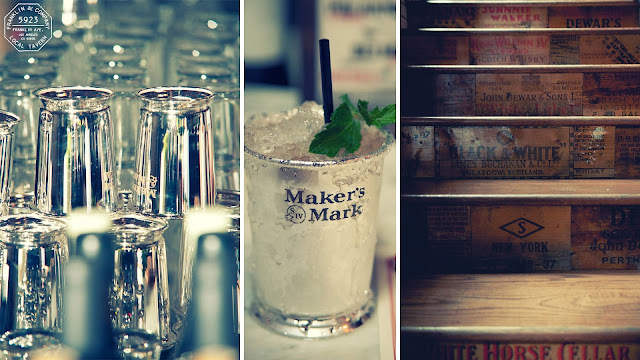 Mint leaves, bourbon, fresh orange juice, fresh lime juice. 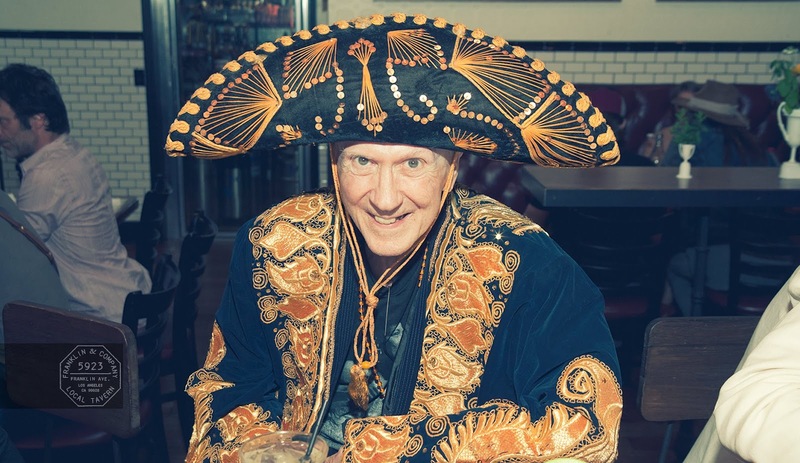 A great time was had by all during our Derby de Mayo festivities so I hope to see some familiar faces again. After the jump is some photos of the Derby De Mayo from our good friend of the restaurant, Paul Wheatley. 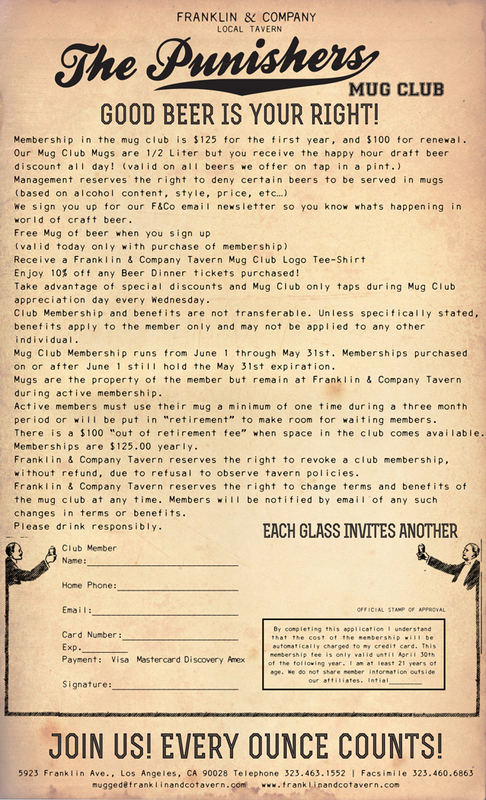 The Franklin Mug Club is officially accepting members on June 1st, 2012. You must be present at the tavern, fill out the membership form and pay the first yearly due in order to be a bona fide member of The Punishers Mug Club. There are only 75 available memberships so the sign up event is first come, first served. If you would like to bring your own mug to display on our Punishers shelf it must be 1/2 liter (16.9070114 US fluid ounces)or the tavern will issue you our standard traditional ceramic german beer stein which you may choose to have etched or painted. 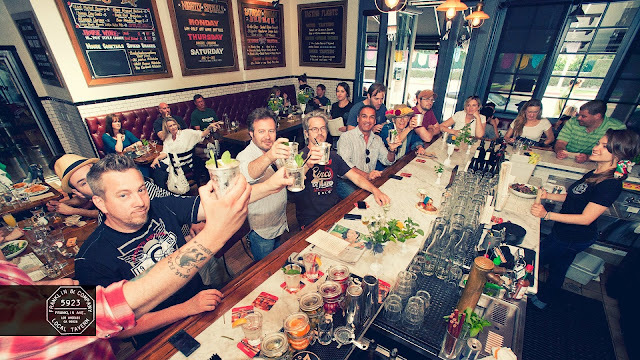 Remember, good beer is your right! That's Ale, brother! Since we opened we have had lots of requests for a burger. 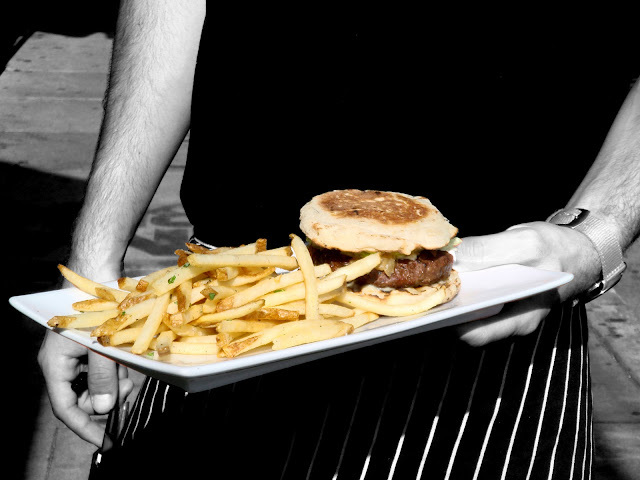 The first menu r&d contained a burger but we were understandably hesitant to commit with our sister company down the block, The Oaks Gourmet, having such a statement for a burger and having garnered so much press and praise. The Oaks burger made Top Ten Burger in L.A twice in a row finally landing at the number 3 spot for 2011. Not #1 but gracious nonetheless. 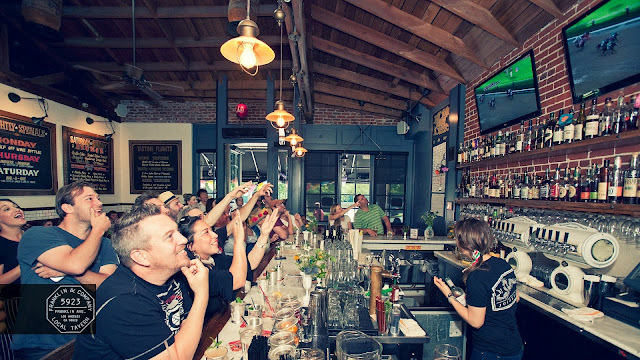 L.A is a burger town and there are lots of 'em so the competition is pretty stiff. When it came time to finally launch the Franklin Tavern burger it had to be completely different from the Oaks in every possible way. What we are officially launching this Friday, the 11th is a seasoned beef patty topped with caramelized onions, blue cheese, butterleaf lettuce served on a grilled english muffin brushed with a dijon duck fat aioli. Simply known as The English it arrives at your table with a side of truffled fries. In 1868 Ann Jarvis created "Mother's Friendship Day" whose purpose was "to reunite families that had been divided during the Civil War", but she died in 1905 before the celebration became popular. Her daughter Anna Jarvis continued her mother's efforts. 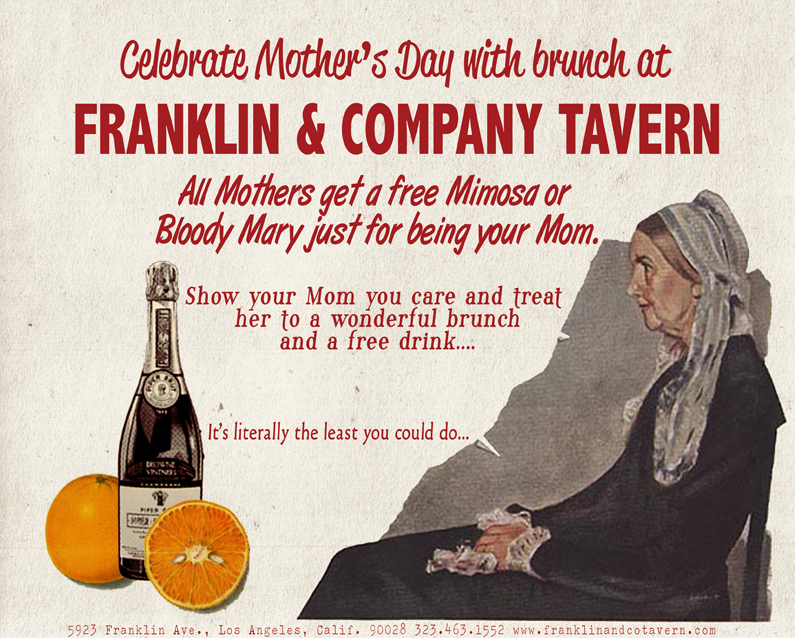 Commercialization of the U.S. holiday began very early, and only nine years after the first official Mother's Day had became so rampant that Mother's Day founder Anna Jarvis herself became a major opponent of what the holiday had become, spending all her inheritance and the rest of her life fighting what she saw as an abuse of the celebration. She was arrested in 1948 for disturbing the peace while protesting against the commercialization of Mother's Day, and she finally said that she "...wished she would have never started the day because it became so out of control ..." She died later that year. However, Mother's Day is now one of the most commercially successful U.S. occasions, having become the most popular day of the year to dine out at a restaurant in the United States.